One cannot imagine cracking a national level entrance like the AIIMS without practicing a good number of sample papers. 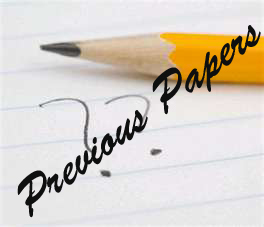 Solving practice papers is a must in order to get acquainted with the trend of questions asked in the exam. For AIIMS, we have got some comprehensive sets of sample papers which have been prepared by the dexterous faculty consisting of ex-IITians. These papers have been solved by the expert faculty and the solutions are presented in a simple and easy to understand language. The papers are in accordance with the latest syllabus of AIIMS and are in alignment with the AIIMS entrance exam. These sample papers and past papers help in simulating the real exam in the closest possible way. Students are advised to solve these papers so as to identify their weak areas. It is important to attempt these papers in the stipulated time so as keep a check on the speed as well.